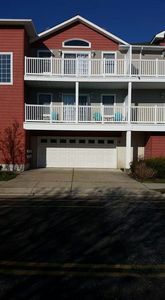 Come discover what this spacious, 3 bedroom and 2 full bath condo located located 3rd place from the beach has to offer. 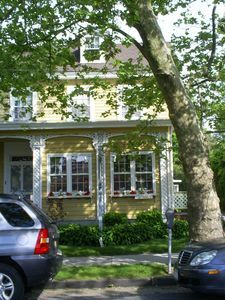 It is located on 14th Street, which is the ONLY dead-end street in all of North Wildwood. It is a great place for kids to play and not have to worry about traffic. Our place is professionally cleaned between each rental. 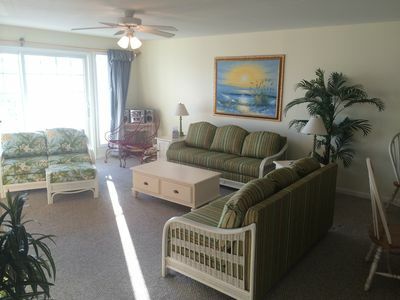 We pride ourselves in maintaining a clean place so you can enjoy your time at the shore. Sorry, we do not permit smoking or pets. 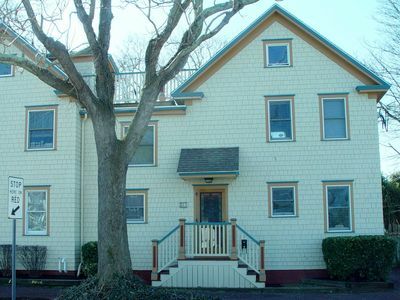 This condo features top floor living with Penthouse Views and has many windows to provide a lot of natural sunlight. 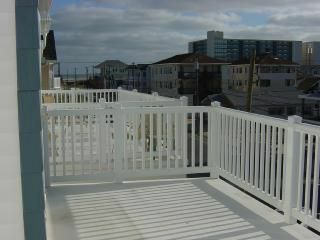 You can listen to peaceful sounds of the ocean and watch the dolphins swim from the deck. 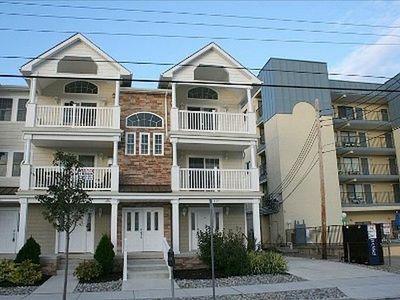 The condo is actually closer to the ocean than many of the ocean front places in the Wildwoods. There is a perfect amount of beach before you get to the ocean. 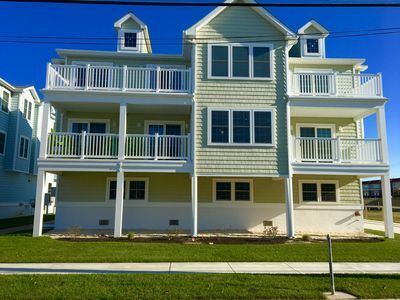 It is located 1/2 block from the main lifeguard station, 1/2 block from start of the boardwalk, and 1/2 block from playground. There is a private outdoor shower(hot & cold) to use after a long day at the beach. 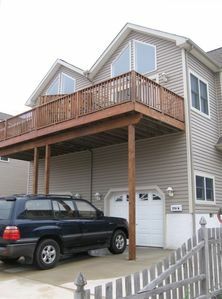 There is also a one car garage and additional off-street parking for 2 more cars. We supply everything you need for the beach: Boogie Boards, Beach Chairs, Cooler with wheels, a Beach Cart to haul all your stuff to the beach. Also included are footballs, soccerballs, basketballs, baseball gloves and to top it off, there are also bicycles to cruise around the island. There is a large book and movie collection and plenty of video games to choose from (Playstation & Atari). This condo is very baby friendly to keep your little ones safe and secure. It comes supplied with a high chair, crib, baby gates, and outlet covers throughout. ENOUGH ROOM FOR 2 FAMILIES TO SHARE! Almost 1,600 square feet of living space. 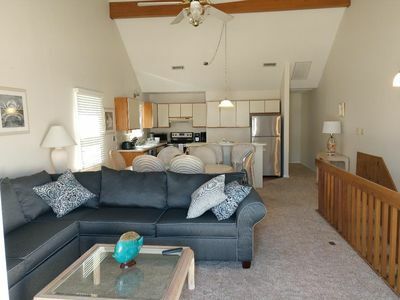 The condo features a LARGE family room with a queen sleeper sofa, separate dining room, full kitchen with all the amenities, separate laundry room, three bedrooms, and two full bathrooms. The dining area has a dining table with seating for 6 and 3 stools to sit at the counter. 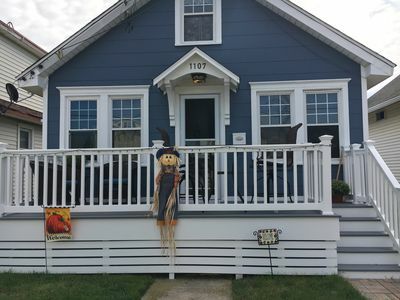 It is a GREAT entertaining area! 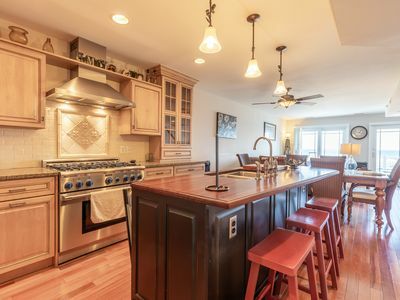 The fully equipped, gourmet kitchen includes upgraded GE Profile stainless steel appliances, breakfast bar with 3 stools, premium cabinets, granite counters and almost every kitchen gadget imaginable. There is a gas grill available and even a large seafood stock-pot for a real beach feast. There is a gas stove and full-size refrigerator. 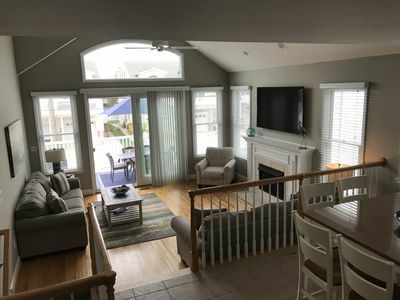 The Great Room has vaulted ceilings, gas fireplace, hard wood floors and offers casual, beach décor seating with a queen sleeper sofa. The large dinning table seats 8 comfortably and, directly adjacent, there is seating for 3 at the breakfast bar. There is also a cozy corner with 2 chairs, perfect for reading or dreaming about the lobster dinner you are planning for that night. All will enjoy the Great Room’s centrally placed, large TV, DVD player, and high-end stereo system, which are also easily viewed from the kitchen because of the wide-open floor plan. The Great Room leads to your large, private deck. The patio table and chairs with umbrella allow you to enjoy the sounds of the ocean while dining al fresco. There is also a wicker loveseat to sit on. The LARGE, romantic master suite features suite features a queen size bed, dresser, 2 night stands and its own well-appointed large, private bathroom with granite countertops and ceramic tile floor. Also, there is plenty of room for the crib or extra air mattresses. 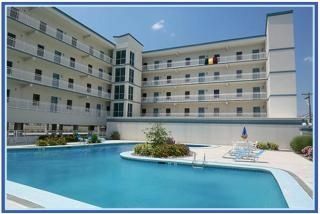 All bedrooms and family room feature flat screen TV's with cable. The bedrooms also have UPGRADED mattresses throughout to get a comfortable nights sleep after a long day. Awesome beach decor throughout. Everything is new! Ceiling fans throughout! 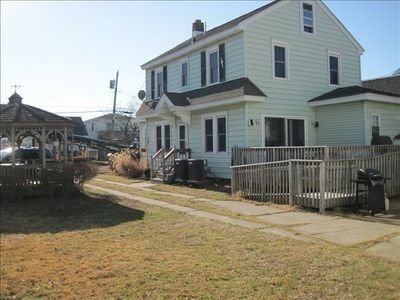 The property is centrally located on 14th Street in North Wildwood, 3rd house from the beach. 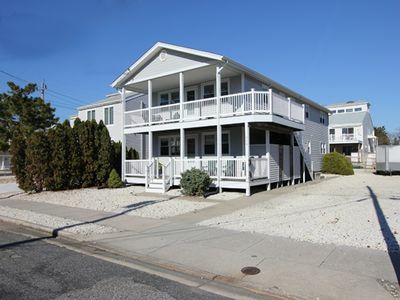 North Wildwood is known to be more of a family area as opposed to Wildwood. And the beach is FREE! 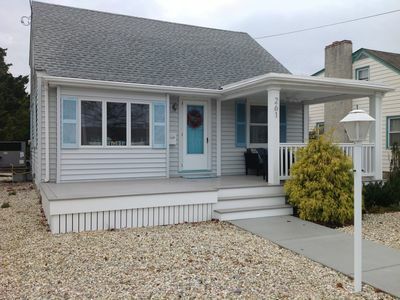 THANK YOU FOR YOUR INTEREST IN OUR SHORE HOME!!! 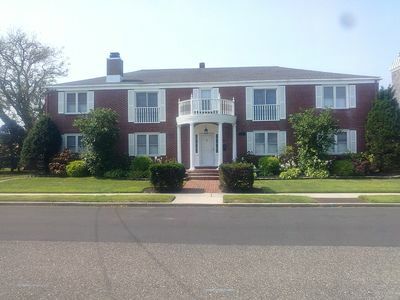 I ENCOURAGE YOU TO CALL AND DISCUSS AND QUESTIONS YOU MAY HAVE ABOUT OUR PLACE OR THE DETAILS OF THE RENTAL (i.e. cost, location). 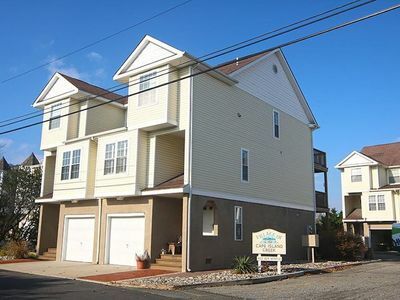 Wonderful Townhome in Beautiful Avalon! 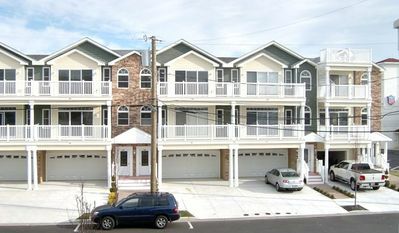 Single Home 1 Bk Fm Beach and boardwalk. Perfect for families, large groups and weddings. 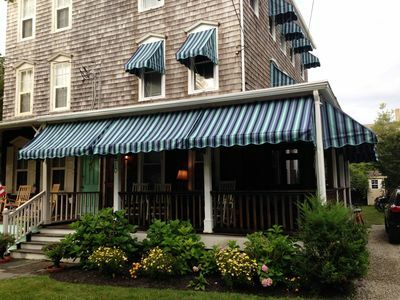 Special fall weekend rates.